We are announcing a new book series, Palgrave Studies in Presidential Politics. The series is edited by Robert Elgie and Gianluca Passarelli and the books will be published by Palgrave Macmillan. The series will include books on all aspects of presidential politics. We are currently accepting proposals for books in the series. The first volume, authored Philipp Köker, will be published in 2017. Palgrave Studies in Presidential Politics will include books on contemporary presidencies, including presidential powers, the administrative presidency, and presidential advisers, as well as the history of presidential offices, and presidential biographies. The series will also include books on presidential elections, including presidential party politics, and the media and presidential communication. The series will focus on presidents throughout the world including the US, Latin America, Europe, Africa, and Asia, including both directly elected and indirectly elected presidents. The series will publish single-country and comparative studies of presidential politics. The series will also publish books on individual presidents. The series will focus primarily on empirical studies of presidential politics, but it could include volumes on conceptual or theoretical aspects, such as how to measure presidential power. The series will publish books that look at the reform of presidential politics, e.g. the reform of presidential elections. However, it will not publish obviously partisan, clearly normative, or personally critical studies of presidents or presidential politics. The series will have a disinterested, academic focus. The series will normally take the form of 80,000-word monographs, or edited volumes. However, shorter books, or Palgrave Pivots, will also be considered. To submit a proposal, you should complete a proposal form. These are available from Ambra Finotello (ambra.finotello@palgrave.com), or from the series editors. For further information about the series and to submit a proposal for consideration, please contact Ambra Finotello (ambra.finotello@palgrave.com) at Palgrave, or the series editors, Robert Elgie (robert.elgie@dcu.ie), and Gianluca Passarelli (gianluca.passarelli@uniroma1.it). Feel free to send an informal e-mail to the series editors if you wish to discuss a book idea prior to the formal submission of a proposal. We look forward to hearing your ideas for books and to receiving your submissions. 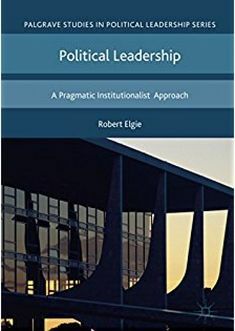 This entry was posted in Comparative politics, Indirectly elected presidents, New publications, Non-partisan presidents, Presidential power measures, Presidentialism, Presidentialism and parliamentarism, Semi-presidentialism and tagged Book series, Palgrave, Presidential Politics on November 18, 2016 by Robert Elgie. The last blog on non-partisan presidents provided an overview of the number of non-partisan presidents in all consolidated democracies around the world between 1990 and 2013. This post will focus on non-partisan presidents in Portuguese-speaking countries during the same period. I found non-partisan presidents in countries where the head of state has relatively little constitutional power. Only São Tomé and Príncipe and Timor-Leste experienced non-partisan presidents in the period 1990-2013. In São Tomé and Príncipe incumbent President Manuel Pinto da Costa was the co-founder of the Movement for the Liberation of São Tomé and Príncipe/Social Democratic Party (MLSTP/PSD). Yet during the 2011 presidential elections he ran as an independent candidate. All presidents of post-independence Timor-Leste are recorded as non-partisan. The former leader of the resistance movement, Xanana Gusmão, was elected president in April 2002. His successor, José Ramos-Horta, won the May 2007 presidential elections. Incumbent president Taur Matan Ruak, a former commander of the Timorese armed forces, became Timor-Leste’s third non-partisan president in May 2012. Angola, Cabo Verde, Guinea-Bissau, Mozambique and Portugal did not experience a non-partisan president in the period 1990-2013. It is worth noting that in Guinea-Bissau two interim non-partisan presidents were appointed, namely former President Henrique Pereira Rosa (Sept 2003-Oct 2005) and Manuel Serifo Nhamadjo (May 2012-May 2014). In the book “O Semipresidencialismo nos Países de Língua Portuguesa”, Lobo and Neto used Shugart and Carey’s method, later modified by Metcalf to measure and compare the constitutional powers of presidents in Portuguese-speaking countries. They found that the president of Angola is the most powerful president in the Lusophone world and the president of Timor-Leste the weakest. In the following table I have added the number of non-partisan presidents to Lobo and Neto’s findings. The table demonstrates that non-partisan presidents are elected in Lusophone countries where presidents have relatively little constitutional power. Two remarks are in order. Firstly, the time period under consideration is short and, secondly, Cabo Verde, a country with a relatively weak president, did not experience a non-partisan president. Nevertheless, the findings seem to confirm an intuitive logic that non-partisans presidents are more likely to be elected in countries where the head of state has relatively little constitutional power. To be sure, political parties may be disinterested in winning the presidency if the head of state has only limited power to intervene in government affairs. Yet, so far, a possible relationship between presidential powers and non-partisanship has not been examined. A democracy is considered consolidated if it scores at least 5 on the Polity IV scale for five or more consecutive years. The analysis includes a non-democracy, Angola, but excludes Brazil. I have used the worldstatesmen.org to identify non-partisan presidents. The worldstatesmen.org records Manuel Serifo Nhamadjo as a PAIGC president. Yet, online sources like Lexis-Nexis Academic and World Political Leaders, list Nhamadjo as non-partisan. Lobo, M. C. and Neto, O. A. (2009) ‘Um Modelo Lusófono de Semipresidencialismo?’, in Lobo, M. C. and Neto, O. A. (eds) O Semipresidencialismo nos Países de Língua Portuguesa, Lisbon: ICS, 261-279. Shugart, M. S. and Carey, J. M. (1992) Presidents and Assemblies: Constitutional Design and Electoral Dynamics. Cambridge: Cambridge University Press. Metcalf, L. K. (2000) ‘Measuring Presidential Power’, Comparative Political Studies, 33, 660-685. This entry was posted in Non-partisan presidents and tagged Portuguese-speaking countries on June 5, 2014 by Lydia Beuman. There is a wide agreement among political scientists that political parties fulfil a crucial role in democracies. They nominate candidates, coordinate election campaigns, aggregate interests, formulate and implement policy proposals, and manage government power. Yet various democracies around the world have experienced non-partisan presidents. The website worldstatesmen.org is a unique data source which provides us with information about the party affiliation of presidents. According to its founder, Ben Cahoon, non-partisan presidents are “those who were not affiliated with a political party at the time of taking office.” Here we are interested in presidents of presidential and semi-presidential systems. So, presidents of parliamentary regimes are excluded from our list. The chart below provides an overview of the number of non-partisan presidents in consolidated democracies, sorted by continent. We found the highest number of non-partisan presidents in Europe. In total 18 non-partisan candidates were elected president in European consolidated democracies between 1990 and 2013. It should be noted that all non-partisan presidents were elected in third, or better, fourth-wave democracies. Indeed, we did not find any non-partisan president in the so-called bastions of democracy in Western Europe. In addition, all of these new democratic states adopted a semi-presidential system. In Asia we found four non-partisan presidents. Three of them were elected in semi-presidential Timor-Leste. The other was elected in presidential South Korea. In Africa, three non-partisan presidents were elected: one in a presidential democracy, Benin, and two in semi-presidential regimes, namely São Tomé and Príncipe and Mali. In South America two presidential democracies, Bolivia and Ecuador, have experienced a non-partisan president. The only country that experienced a non-partisan president in North America was Guatemala, a presidential democracy. In Australia/Oceania all countries have adopted a parliamentary regime. These non-partisan presidents have been excluded from our list. All in all, out of a total of 223 presidents who were elected between 1990 and 2013, 29 (13%) presidents were not affiliated to a political party. In Europe 26% of all presidents were non-partisan. What do these numbers tell us? They demonstrate that the election of a non-partisan president is a relatively rare phenomenon in all continents but Europe. In Europe, more than a quarter of the elected presidents is non-partisan. The election of a non-partisan president may affect crucial matters like democratic representation. To be sure, non-partisan presidents are not accountable to a political party during their time of office. Worse still, when such presidents do not wish to get re-elected, they are free to act according to their own wishes. Yet, their existence has been largely ignored in the literature. More research is therefore needed on the effect of non-partisan presidents on the quality of democracy. Doorenspleet, R. (2005) Democratic Transitions: Exploring the Structural Sources of the Fourth Wave. Boulder: Lynne Rienner. The web site “The semi-presidential one” provides a list of countries with a presidential and semi-presidential constitution. This entry was posted in Non-partisan presidents and tagged democracy, non-partisan, nonpartisan presidents, president on April 14, 2014 by Lydia Beuman.